Have you ever wonder ‘how clean’ is your tap water? It’s something I started wondering as soon as the water crisis in Flint, Michigan came to light. It was stuck in my head for months and I couldn’t let it go… Then I read The Shocking Truth About Water and it was crystal clear to me, I had to research more and share with you guys what I found and most importantly, what I did after. Leer versión en español aquí! I decided to make a series of 3 posts regarding this VERY important subject because there’s just way too much information, AMAZING information, and I don’t want to overwhelm you. So wait for a new post in continuation to this one in just a few days. What’s the deal with tap water? Tap water is municipal water that comes out of the faucets and has been treated, processed and disinfected. It is purified with chlorine and generally has added fluoride. But one of the byproducts from using chlorine in our drinking water is linked to cancer (Seriously, I’m not even kidding). When we drink a glass of tap water, we’re also getting a dose of industrial or agricultural contaminants linked to cancer, brain and nervous system damage, developmental defects, fertility problems or hormone disruption… Also, I always think that by the time tap water has been pumped through miles of (often corroded) pipes who knows all the things that it is gathering in the process, so it really is NOT the type of substance that you would want 70% of your body to be made of. WTF is in my water then?! An investigation published by the New York Times in 2009 found that American tap water often contains arsenic, lead, barium, and other toxic chemicals which can pose serious health risks, even in small quantities. 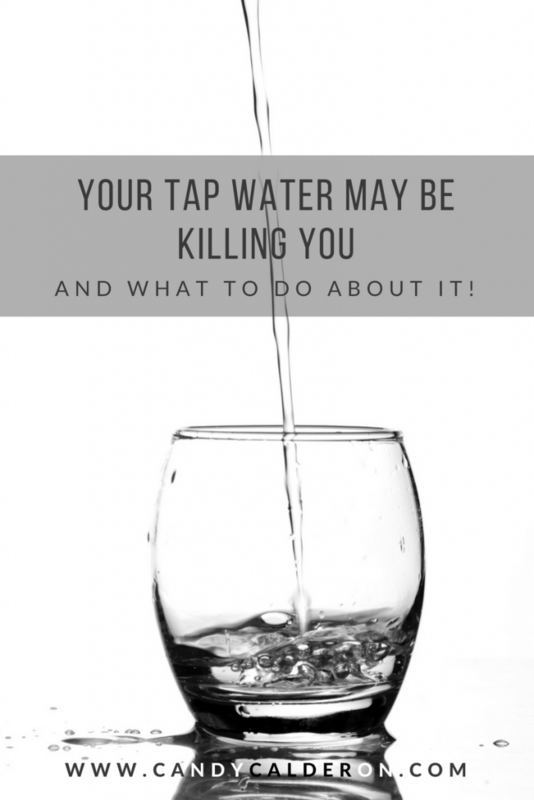 If you read the report made by the Environmental Working Group, then you’ll learn that tap water has 300+ chemicals and pollutants in it… I was honestly SO F… mad! I felt the same way I felt when I realized that we can prevent (and sometimes even reverse) Cancer through lifestyle choices. WHY is this NOT common knowledge, or at least more visible? Heavy Metals: Metals like lead and mercury are found in some water sources and have been linked to many health problems. Endocrine Disruptive Chemicals: basically, sh*t that may mimic or interfere with the normal hormones in our bodies! Volatile Organic Chemicals: Things like pesticides, herbicides, and other wacky stuff. These chemicals are found in most municipal water sources and even in well and other sources due to agricultural run-off and contamination. Research links many of these chemicals to damage in the reproductive system, liver, kidneys and more. Fluoride: Arguably the most controversial of all of them. Additionally, fluoride has been linked to thyroid problems and other disorders when consumed internally. Putting fluoride in the water was a practice started back in the 50’s supposedly to prevent tooth decay (whatevs!). I could go on and on… Even if your community may treat the water supply, there will always be things that may be left on your tap by the time it makes it to your glass. As I always tell you guys… let’s be PROACTIVE! Definitely check your local water quality report to catch the contaminants in the water of your area. You can also check your local water company’s website. Reports ‘should’ be always available to the public so I hope yours in your area are available to you. If all else fails, remember GOOGLE is your best fraaand! Try Googling the name of your city and “water quality report” to find it. As with everything I try to teach you here, prevention is the key! Once I was empowered with all the above information I just shared with you, I KNEW I HAD to get a water filter system for my home! After months, and months of researching different brands, filter options, etc (you guys know I can get obsessive! Lol) I decided to install the filtration system from Indalo Water which is not only a filtration system but also reverse osmosis, UV disinfection and makes my water ALKALINE and if you guys know me, you know this is SO IMPORTANT for me! 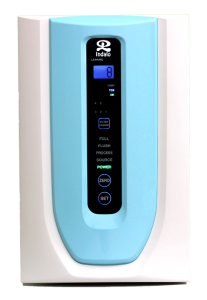 I specifically got their Indalo Rob System, which as I mentioned does not only filters my water but also makes it alkaline. Alkaline rich water helps balance the body’s pH, which tends to be acidic because of our high acid food diet, stress and exposure to environmental toxins. Alkalize your body pH from acidic to alkaline pH, because cancer and many other illnesses cannot live in alkaline environments. So if like me, you are also not interested in drinking a chemical cocktail every time you are thirsty, then I HIGHLY suggest you check Indalo Water filters! I will write in more detail in a few more days about my experience so far drinking alkaline water, what I have experienced in my body, any PROS & CONS and WHY I didn’t go for a store bought filter instead. Will also share with you a test I did to my tap water, and get ready because it’s so gross and yuuuuuuck! SHARE IN THE COMMENTS if you found this post useful for you! I love doing them, and love sharing my findings with you all. As usual, remember to TAG ME on Instagram and use the #CandyGlowSquad hashtag if you share any of the info from this post. Text, or email the link of this article to friends and loved ones! Success! Now CHECK YOUR EMAIL to confirm your subscription, and download your FREE e-Book! Yesss, send it to my email! How would have thought!! OMG! Previous Previous post: Black Bean Pasta – How To Make The Perfect Salad For Work!